Yahoo Hack days are a lot of fun, and some pretty interesting stuff comes out of them. But a persistent question is whether or not they are much more than fun – and if any of these hacks ever make their way into actual products. The answer, apparently, is yes. Tonight Yahoo is announcing two product feature launches that were originally created at Yahoo Hack Days. – Shop By Color and MapMixer. 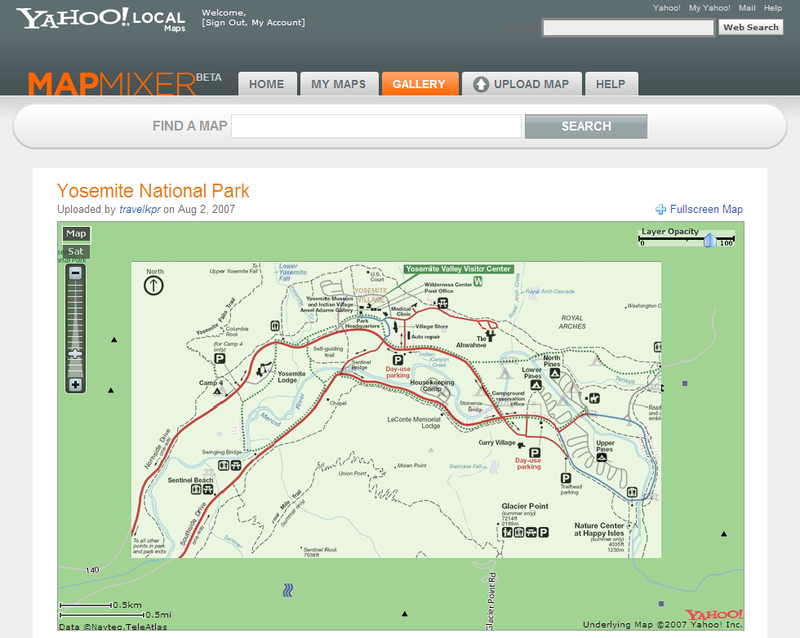 MapMixer is a tool that lets users “pin up” their own image over Yahoo Maps. The two images are melded to create a hybrid version that can be saved and viewed privately or made public – users can also adjust opacity and perform other tweaks to make it look just right. 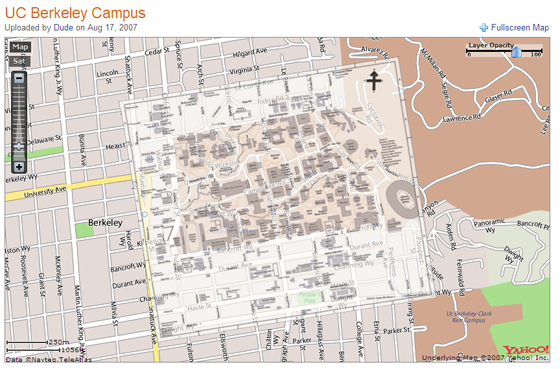 The ideal use is to add a very detailed map to the existing, less detailed Yahoo map. The melded map can also be embedded in a non-Yahoo website. See images to right and below for examples. Google Maps allows various types of annotations, but nothing exactly like this. Shop by Color is a new Yahoo Shopping feature that lets users search or narrow results by selecting one of 56 different color hues instead of typing the color in manually. Like.com, which we’ve covered recently, also allows image searching with non-text as the input. What Yahoo is launching is a lot different, but it is exciting to see image search moving beyond purely descriptive text as the input. Images can be queried directly, whereas previously just the metadata around an image could be queried. Both were developed at Yahoo!’s Q1 2007 internal hack day on March 23rd. Hayro Kolukisaoglu and Sundeep Tirumalareddy created Shop by Color, and Nimit Maru created MapMixer.